After reading about the profit potential of selling bundles through Amazon FBA in our last post, are you ready to learn the basics of how to create your first profitable bundle? In the rest of this blog post, I want to give you my 8 steps to creating a profitable bundle to sell on Amazon. Come up with your bundle idea. This might seem like an obvious first step, but you must have a solid idea in place before you start putting your bundle together. For this stage of the process, I highly recommend Anita Breeze’s The Bundle Idea Book. The book includes 10 done-for-you bundle ideas that you can put together in endless combinations to make profitable Amazon bundles. Right now, the Bundle Idea Book is on sale for $10 off. Click here to get the book and save $10. If you don’t see the book on sale anymore, try the code FULLTIMEFBA and see if that coupon works. The Bundle Idea Book is the newest release from Anita Breeze. It’s the follow up book after her very popular, The Book of Bundles. Pick a theme for your bundle. Your theme can also have endless combinations. 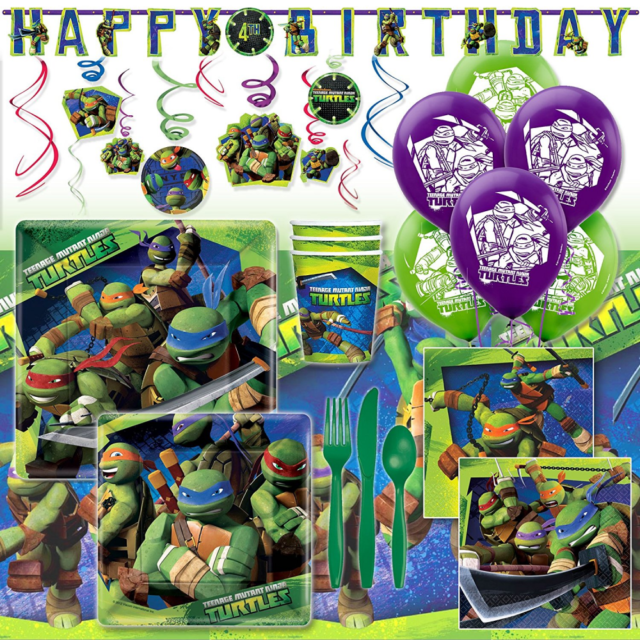 Examples of themes are “birthday party” or “household task.” For the purposes of this blog post, we’ll go with the example we started talking about in the previous post, a Teenage Mutant Ninja Turtle birthday party pack. In Amazon’s bundle guidelines, they state every bundle should have a main, centerpiece item. Every bundle on Amazon must belong to an Amazon category, so you must have a main item that helps determine that category. If your main item is a toy, your bundle will be in the Toys category. If your main item is a small kitchen appliance, your bundle will be in the Home & Kitchen category. Note: Be sure you read up on Amazon’s bundle guidelines before you get started because bundles are not allowed in certain categories. Once you have a main item for your bundle, you will need to choose the complementary items to make up the rest of the bundle. All of the items in the bundle must work together and complement each other in a logical fashion. For example, in my Teenage Mutant Ninja Turtles party pack I will need to make sure everything in the bundle fits with the TMNT theme; I shouldn’t include a random board game that has nothing to do with TMNT. Note: Some people might want to include candy or food items as one of their complementary items. I don’t recommend including food or anything with expiration dates that you have to track once you send it to the FBA warehouse. Some folks like to make Halloween or Easter bundles and include a note in the listing “basket includes space for you to add candy,” rather than including the candy in the bundle itself. If you go to the trouble of coming up with a stellar bundle idea and putting together a fantastic Amazon listing, you want to maximize the number of sales you can get from it. You want to be able to send as many bundles as you affordably can send to the FBA warehouse, and you want to be able to replenish your listing as needed. 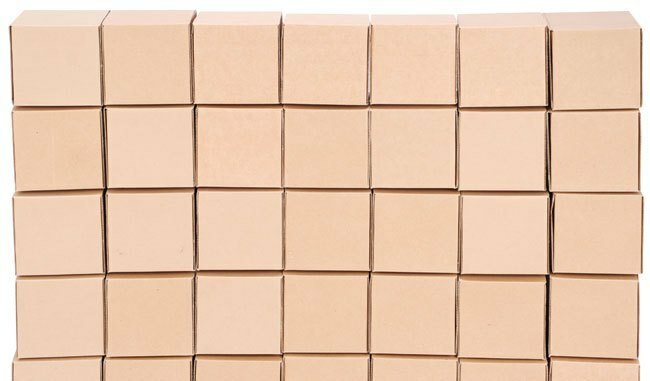 Buying in bulk will allow you to trim costs and maximize the number of units you can send to FBA. You’ll need to look for sources where you can find multiples of both your main item and your complementary items. You’ll need to find a way to enclose all your bundle items in a way that makes sense for your particular bundle and that protects all the items. In some cases a poly-bag might be sufficient, but in others you’ll want to use a box. These items are going to be handled fairly roughly by warehouse workers and UPS/FedEx/USPS workers, so you want to make sure the bundle is packaged tightly and protected from damage. Use a “Do Not Separate” sticker. 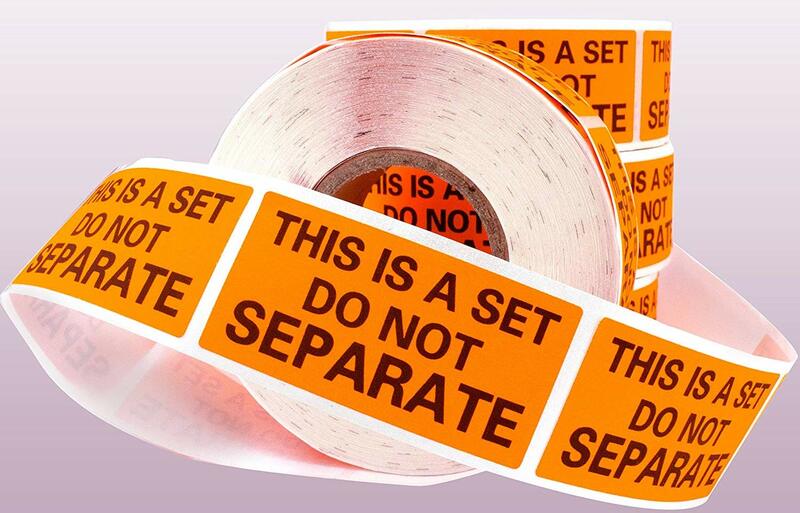 Once you have all of your bundle items properly enclosed in a box or bag, you should label it with a “Do Not Separate” sticker to notify the warehouse workers not to separate your bundle into individual items. You can print these labels yourself with a Dymo printer, which is what I typically do when I need a “Do Not Separate” sticker, or you can buy them here. High-quality photos of your bundle. You can search “image requirements” in the Amazon guidelines for more information on how to ensure you are using the right photos in your listing. A fantastic title, keywords, product description, and bullet points. A unique UPC. Amazon only allows UPCs that are associated with one particular brand, and they must be a part of the GS1 database. When it comes to bundles, however, you might have included a couple different brands – so what do you do? You will need to apply for a GTIN exemption at this link. I know, that’s a lot of acronyms in one paragraph! 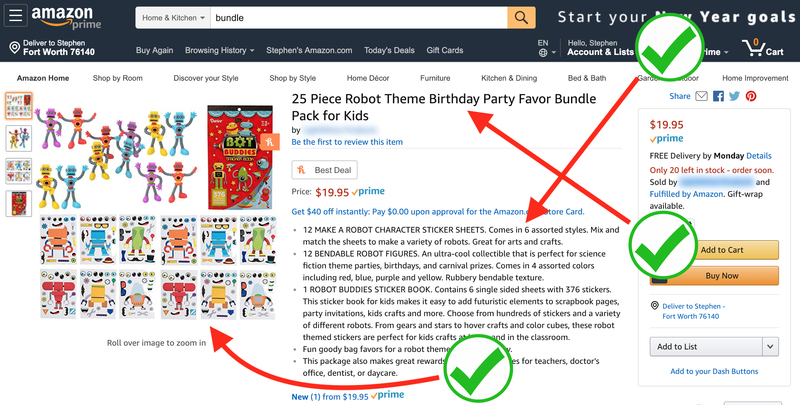 There you have it in a nutshell, how to create a profitable bundle on Amazon: come up with an idea; choose a theme; pick your main item and complementary items; buy enough to make multiple bundles; package the bundle well; label it well; and create the listing so you can send it off to the Amazon warehouse. 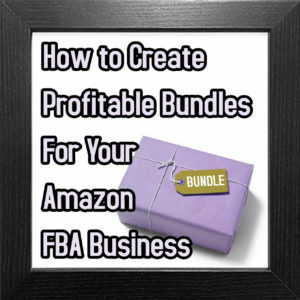 If you think bundles are a good fit for your Amazon business, I encourage you to try creating your first bundle and see if you can get those profits to start rolling in. The Bundle Ideas Book – 10 Done-For-You Bundles for Valentine’s Day and Beyond. 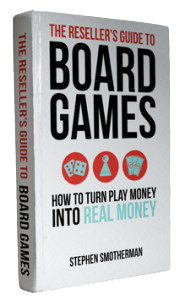 You can use this book to create endless combinations of profitable bundles. It even includes places in the US and Canada where you can source the main and complementary parts of the profitable bundles. Right now, the Bundle Idea Book is on sale for $10 off. 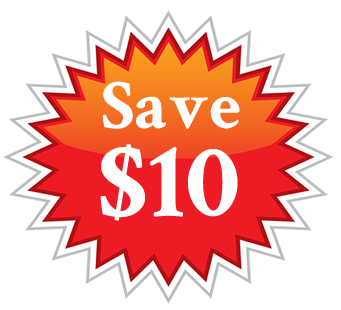 Click here to get the book and save $10. If you don’t see the book on sale anymore, try the code FULLTIMEFBA and see if that coupon works. The Book of Bundles – This is the best book I’ve seen on the market for how to create bundles that will actually sell on Amazon. The author walks you through how to know ahead of time that you’re creating a bundle that customers will actually buy, so you don’t waste time and money sending in bundles to Amazon that never leave the shelves. Save $10 on BOTH bundle books today! Right now, Anita is offering the readers of Full-Time FBA a money-saving coupon code to get her books, The Book of Bundles and The Bundle Idea Book, both at a super low price. Use the coupon code FULLTIMEFBA at checkout and you will save $10 off the cost of The Book of Bundles. Right now, the Bundle Idea Book is on sale for $10 off. No coupon code needed, but if you don’t see the book on sale anymore, try the code FULLTIMEFBA and see if that coupon works. Seriously, the books are worth the full price, but this code makes the price of both books even sweeter! Now, I’d love to hear from you. Did this blog post spark some bundle ideas that you want to start creating sometime soon? How do you think selling profitable bundles will impact your business? 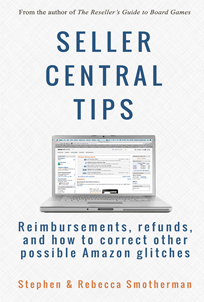 Do you have any questions about what it takes to sell successfully bundles on Amazon? Do you already have some experience selling bundles? What other tips would you add? Comment below and let me know. I read every comment. How long on avg does it take to for it to start selling? I understand the listing gets indexed but looking for rough numbers. Also if a change to the listing is needed ( ex your missing a keyword) or if you want to update the listing to see if one version is better than the previous – how often can/should update the listing without hurting your rankings. 2. The customer demand. All the right words won’t help if there is no customer demand. Check the individual pages of the items you’re wanting to make a bundle out of and see if there is demand there. 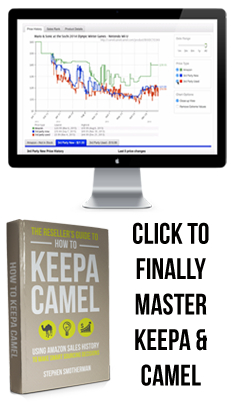 Demand for individual pages shows a greater possibility of the demand for your bundle. 3. If you’re the only one listed on the product, then you’ll have pretty easy access to update the words in the listing. I was considering bundling two books by the same author. One seems to sell very fast (I sold 5 in a week), and the other not so much. Is this something I could consider bundling to help move the slower selling ASIN? Ira please don’t do this. You cannot bundle books together per Amazon guidelines. Thanks. I appreciate that information. I’m only a month into this so still learning all the rules. Stephen, thank you for another great blog. I especially appreciate when you include links to find things easily like the “Do Not Separate” sticker, and the GTIN exception form. Do you happen to have a link or suggestion for a good 12″ X 15″ (approx) bag that would be of sufficient quality to bundle with? I am thinking of a bag that is not a heat shrink bag since the contents might be damaged by the heat in that process. Where is my book I ordered and paid for the book of bundles. How do I get it? When you purchased your Bundle Book, you crated an account at GumRoad. Go to GumRoad and log in to your account and you’ll find it there.